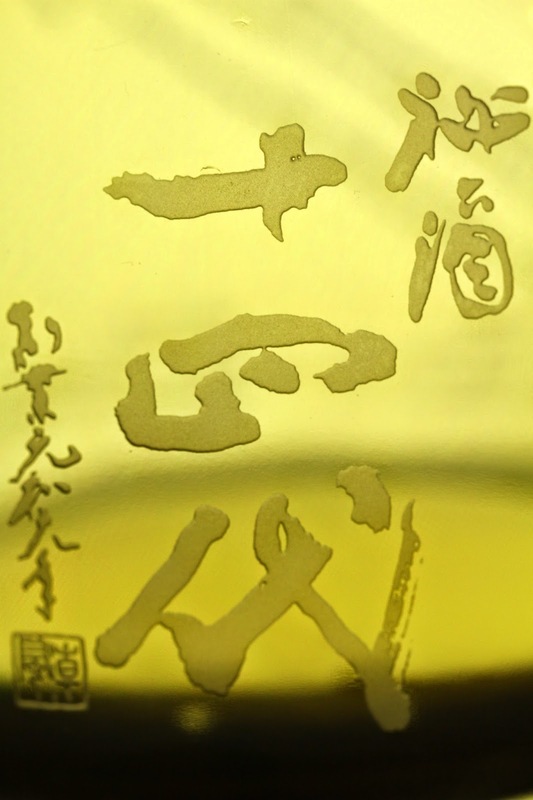 Born Chogin Junmai Daiginjo (梵 超吟 純米大吟醸), 24BY - incredibly fine seimaibuai (精米歩合) of just 20%. Alcohol was a little sharp, perhaps because it wasn't as cold as it should have been for the first pour. 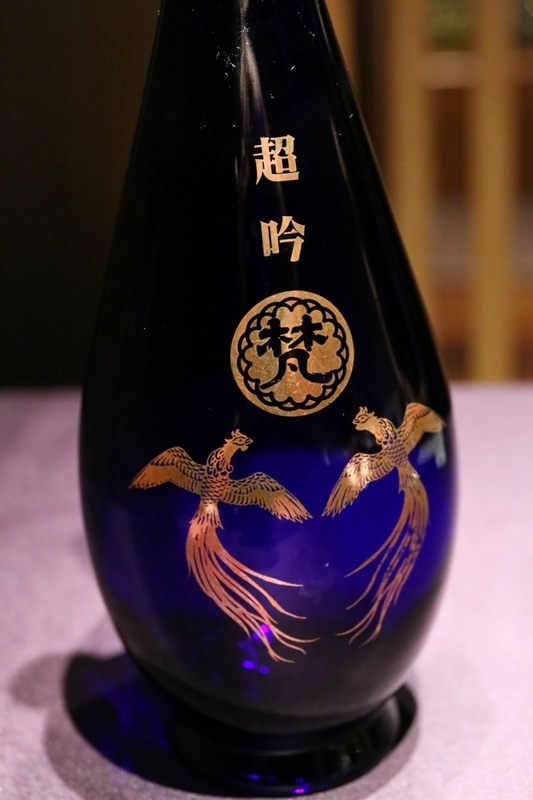 Pretty full-bodied sake, with very rich and deep flavors, or what Japanese would call "コクがある." On the palate, it was sweet on the attack, but turned dry and slightly bitter on the finish. Very much full-on fermented rice flavors. 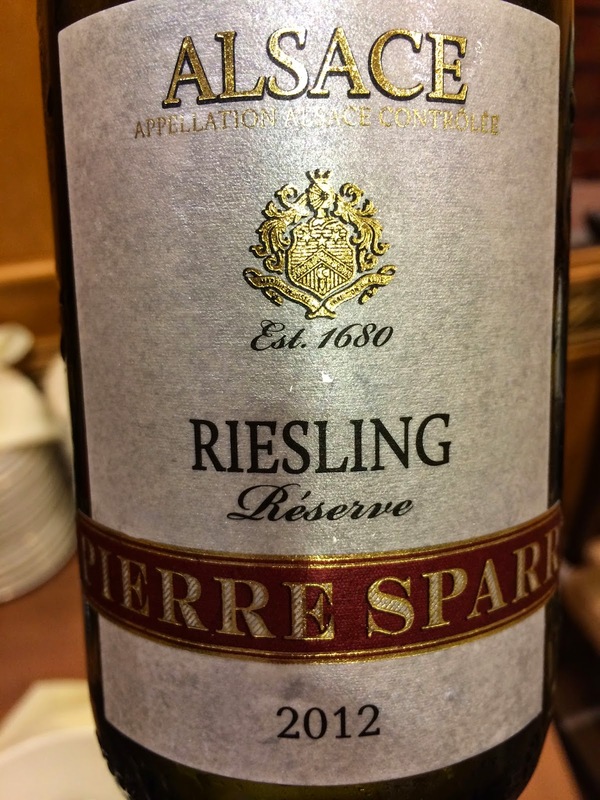 2012 Pierre Sparr Riesling Réserve - alcoholic, a hint of ripeness but dry on the palate, with some minerality. 2003 Kistler Pinot Noir Sonoma Coast - very sweet and ripe, alcohol very sharp on the nose, with potpourri and forest notes. Easy to see why this wasn't popular with the others. 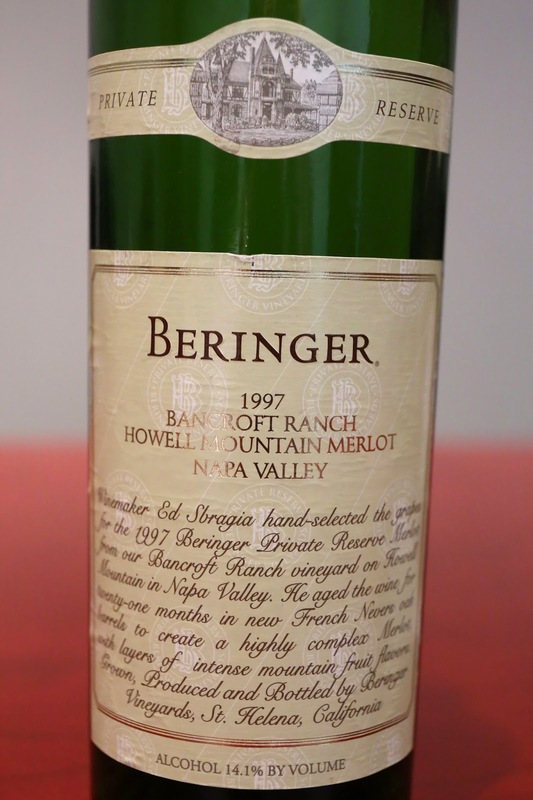 1997 Beringer Merlot Bancroft Ranch Private Reserve - smoky, minty with dried herbs. 1985 Hospices de Beaune Mazis-Chambertin Cuvée Madeleine-Collignon par Bouchard - farmy, soy sauce, black olives, a little smoky. Acidity higher here. 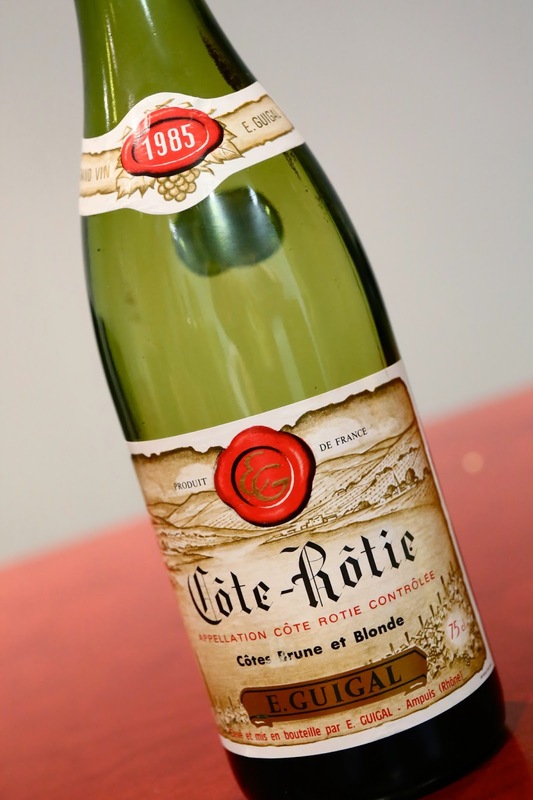 1985 Guigal Côte-Rôtie Brune et Blonde - farmy, bacon fat, floral, violet. leather. Absolutely beautiful, and my favorite of the evening. 2005 Kistler Chardonnay Kistler Vineyard - big, ripe nose of toasty corn. Sweet and buttery. 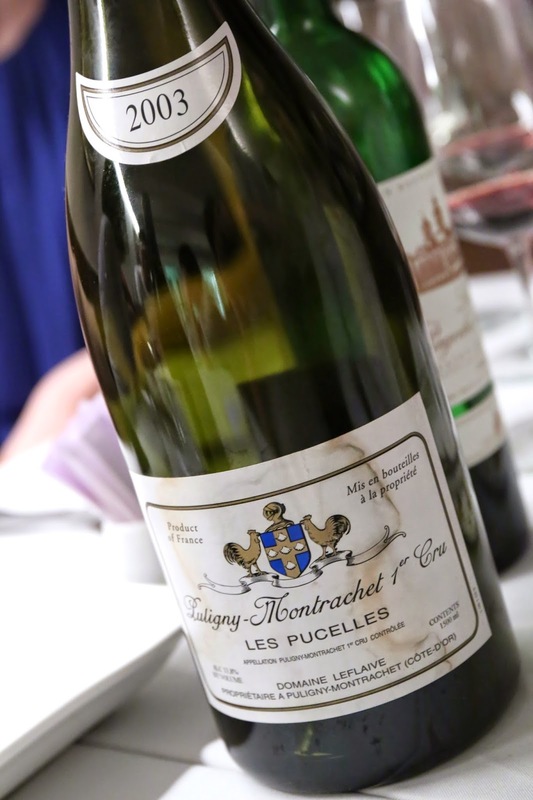 2005 Vincent Girardin Puligny-Montrachet 1er Cru Les Folatieres - slightly leaner than the Kistler but still ripe. Nice and ready to drink, with more lemon citrus. 1989 von Schubert Maximin Grünhauser Herrenberg Riesling Spätlese - my first sip surprised me with its acidity level, but I think the wine drank better as time went on. Nice acidity balance with some residual sugar, and a classic German Riesling. 1990 von Schubert Maximin Grünhauser Herrenberg Riesling Spätlese - definitely was a little sweeter on the palate compared to the '89. MNSC dinner at the Grill Room of Hong Kong Country Club, hosted by the Ox. 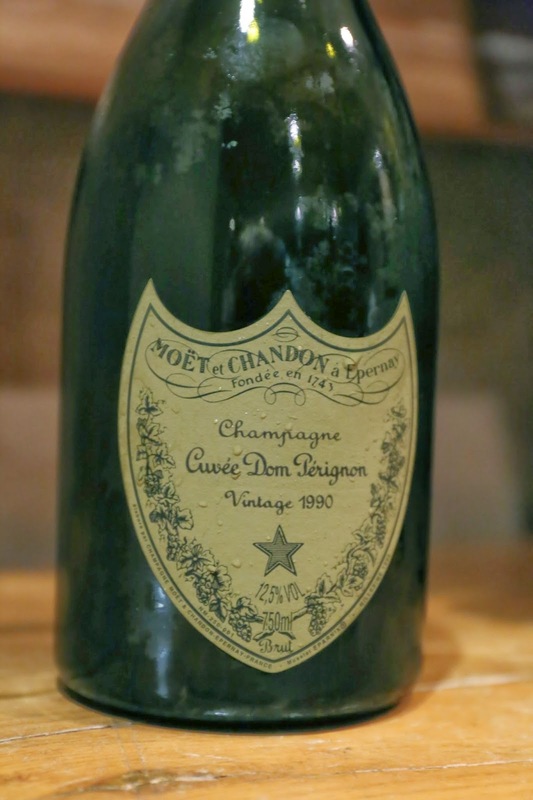 1990 Moët and Chandon Cuvée Dom Pérignon - a little plummy, a hint of grass, mineral notes. Young and fresher than I expected. 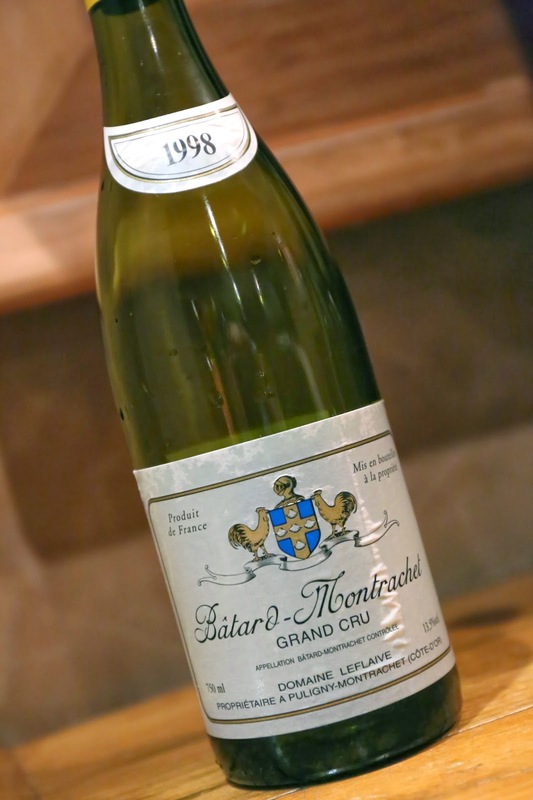 1998 Domaine Leflaive Bâtard-Montrachet - very toasty nose, with lots of grilled corn, and citrus notes. 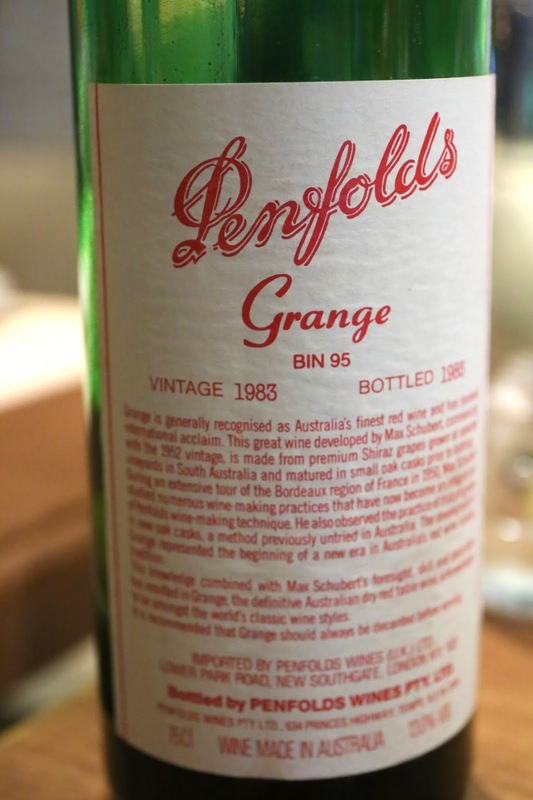 Very clean and powerful on the palate - yet round and soft - with a long finish. Beautiful! 1978 Paul Jaboulet La Chapelle - smoky, tobacco notes, minty and sweet. 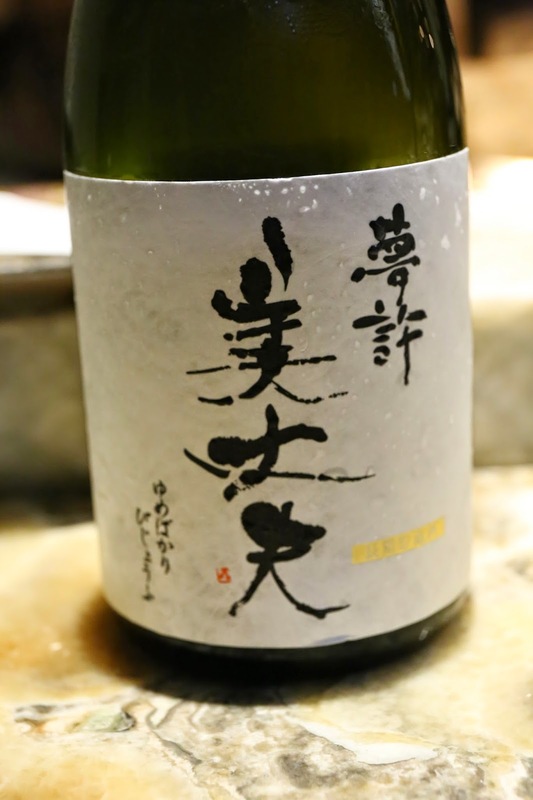 A bit of acidity on the palate, and alcoholic. Later on the nose turned really sweet, with vanilla notes. 94 points. 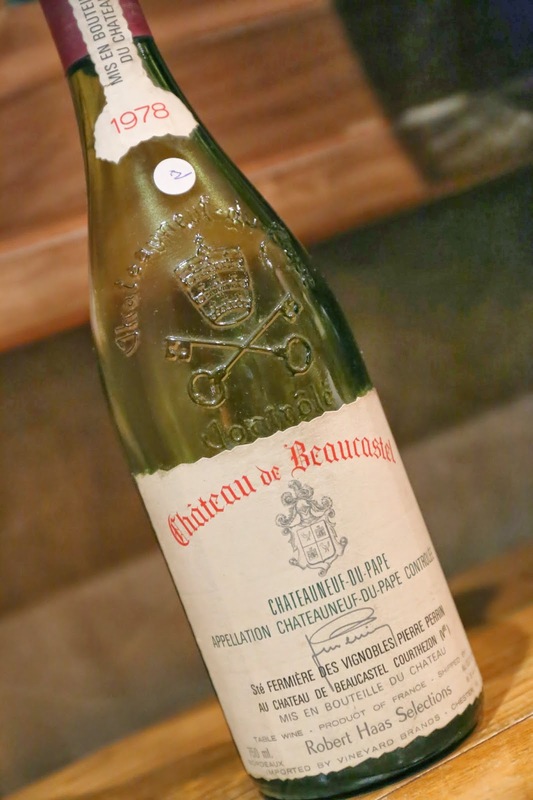 1978 Beaucastel - a little chalky, some sweet grass, and sharp alcohol. 92 points. 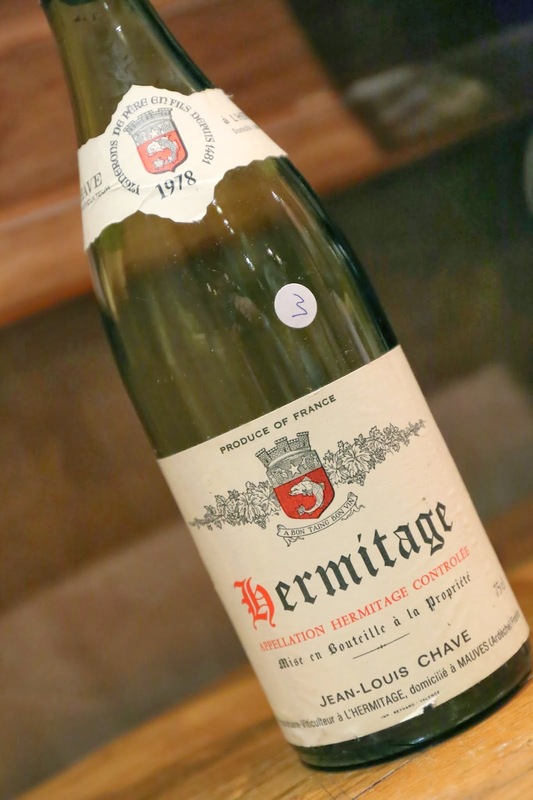 1978 Chave Hermitage Rouge - ripe and sweet, a very big wine. Black olives, more meaty and minty. Interestingly the acidity was very obvious in the nose. Good concentration here. 94 points. 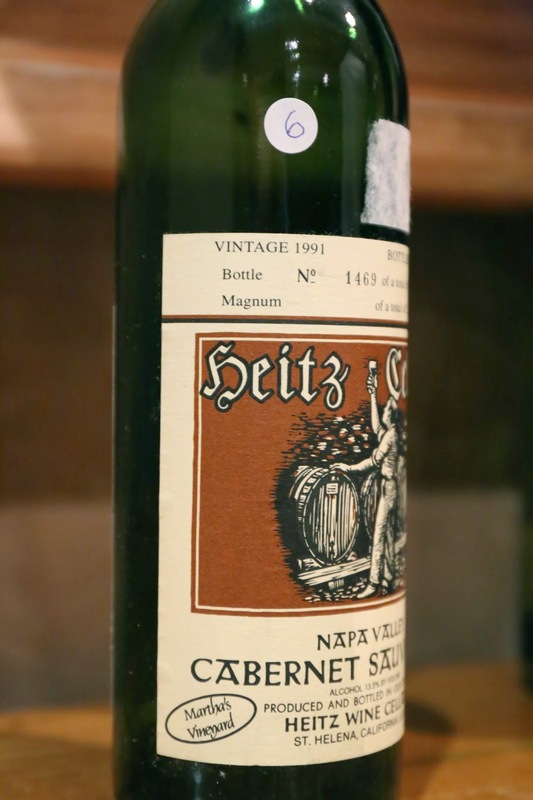 1988 Heitz Cellars Martha's Vineyard - nose of led pencil, smoky, a little green pepper, a little earthy and mineral. 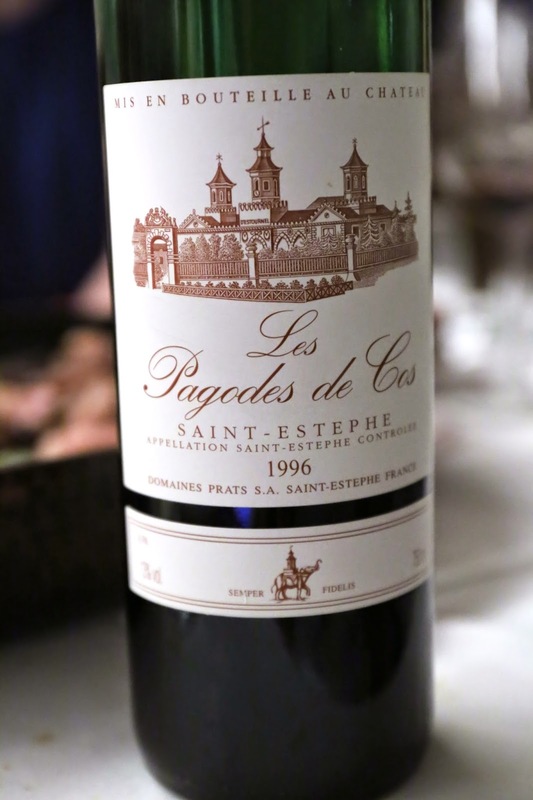 Very concentrated on the palate, clean with a long finish. 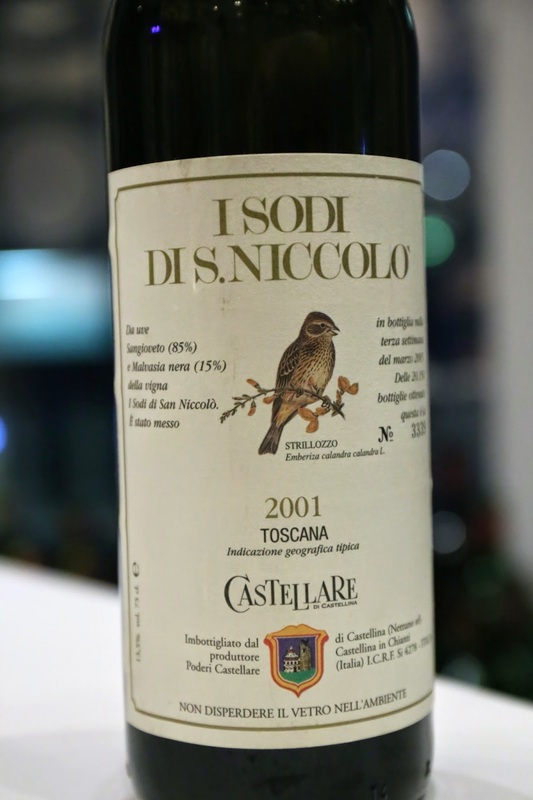 A beautiful wine. 99 points. 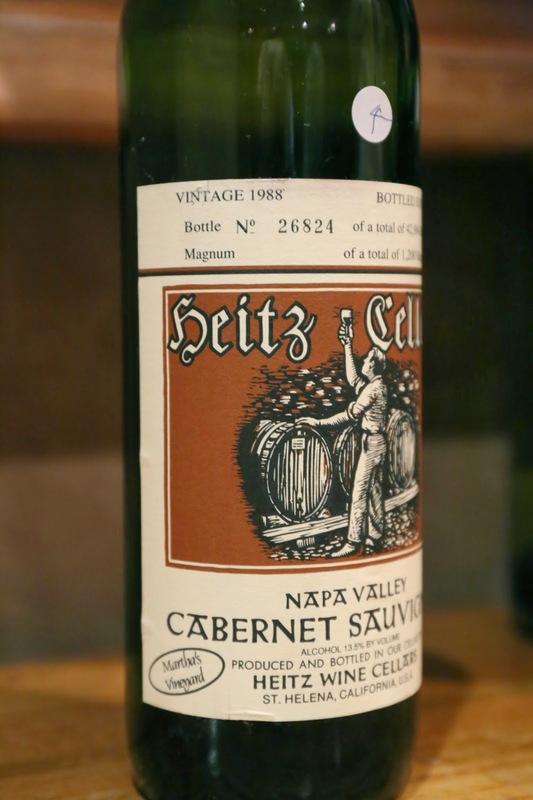 1989 Heitz Cellars Martha's Vineyard - a bit smoky, alcoholic. A little savory, with a little plastic at the end. Also a beautiful wine. 98 points. 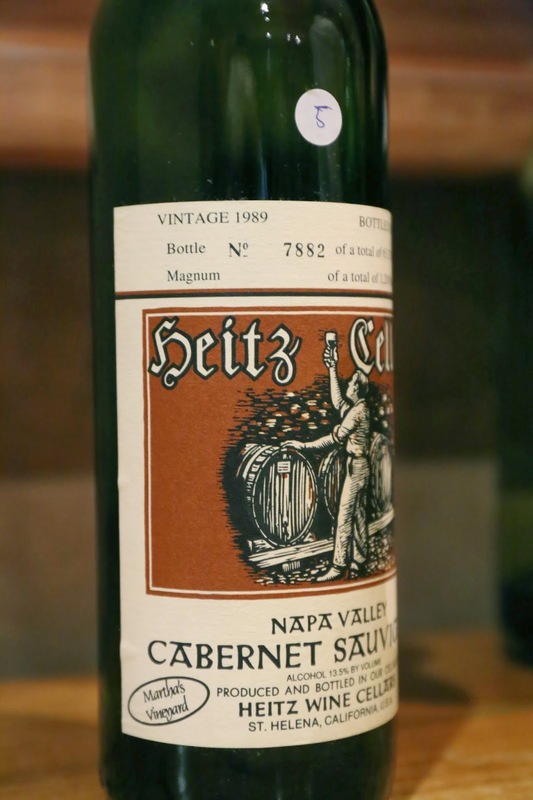 1991 Heitz Cellars Martha's Vineyard - sharp and alcoholic on the nose at first. A little green pepper and smoky. 96 points.